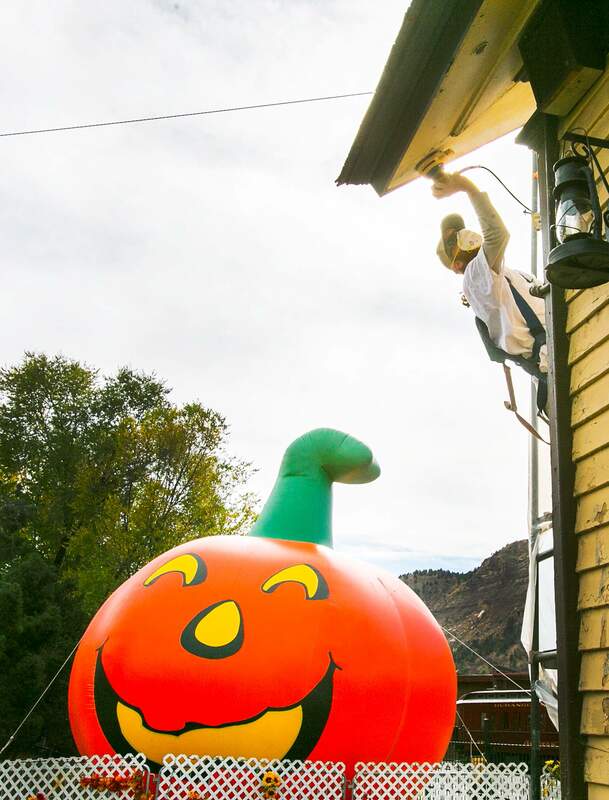 Jason Davenport of Rocky Top Painting and Construction sands the side of the Durango & Silverton Narrow Gauge Railroad depot Friday as the train’s giant pumpkin watches his every move. Davenport was preparing the south side of the depot for a new coat of paint. 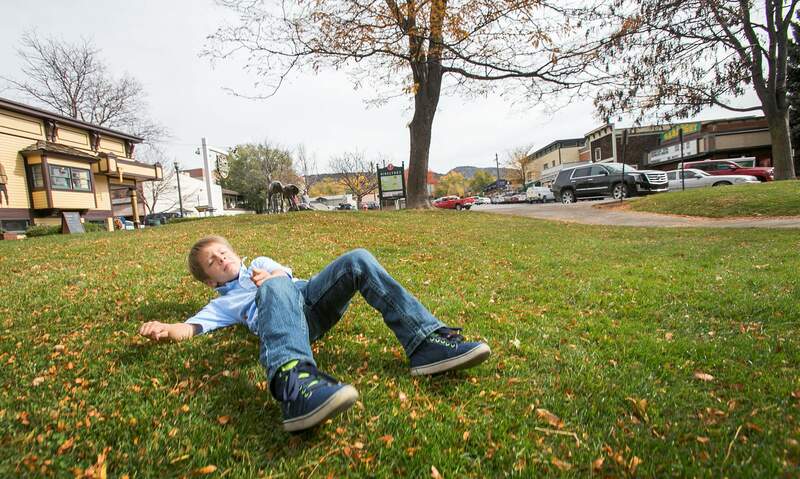 Five-year-old Carter Percell rolls in the few leaves left in front of the the Durango & Silverton Narrow Gauge Railroad depot Friday. Percell is the son of Milenna and Tommy Percell of Bayfield.